Copyright: The entrant retains full and complete ownership of the copyright in each submission. 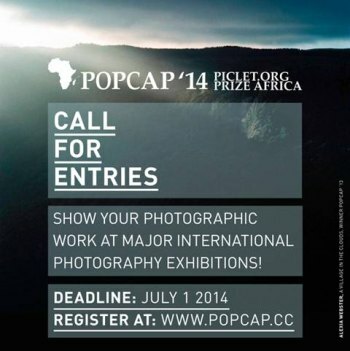 POPCAP is a prize for contemporary African photography that is awarded to photographic portfolios that are either produced in an African country or deal with a diaspora of an African country. POPCAP aims to raise the profile of African photography in the arts, and provide more publicity for artists engaging with the African continent. Image requirements: at least 1500px at 72dpi, with a maximum size of three megabytes per file; JPEG format. No borders or watermarks. If selected you need to be able to provide high resolution photographs.